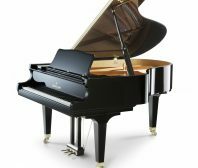 “How often should my piano be tuned” is one of the most frequent questions asked of us. We generally recommend at least twice a year. However, depending on the condition of your home and the piano, you may require more or fewer tunings. At Roger’s Piano, our technicians all have many years of experience. Give us a call or fill out the form below to schedule a tuning service today!